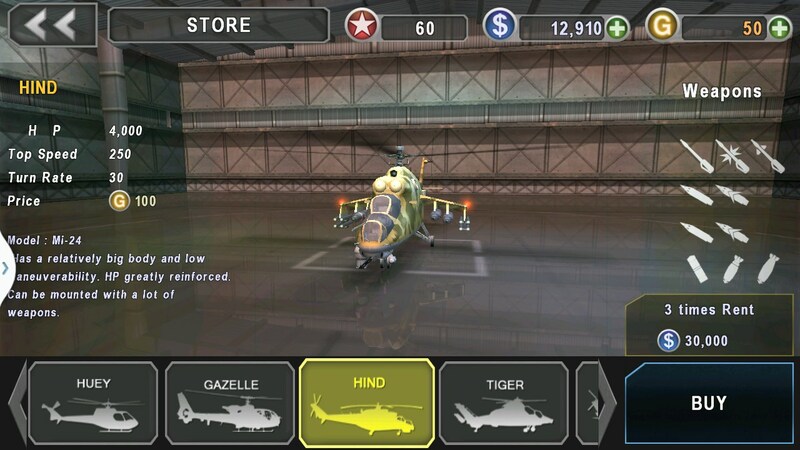 Gunship Battle – Games for Android 2018 – Free download. 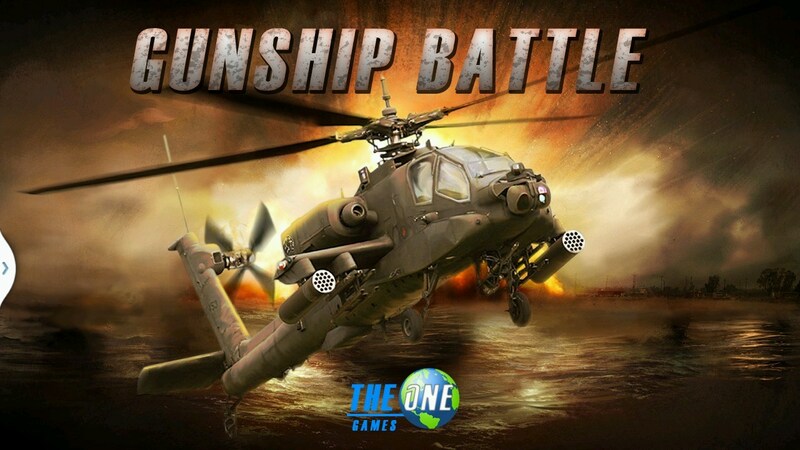 Gunship Battle – Fly or Die in 360° Glory. 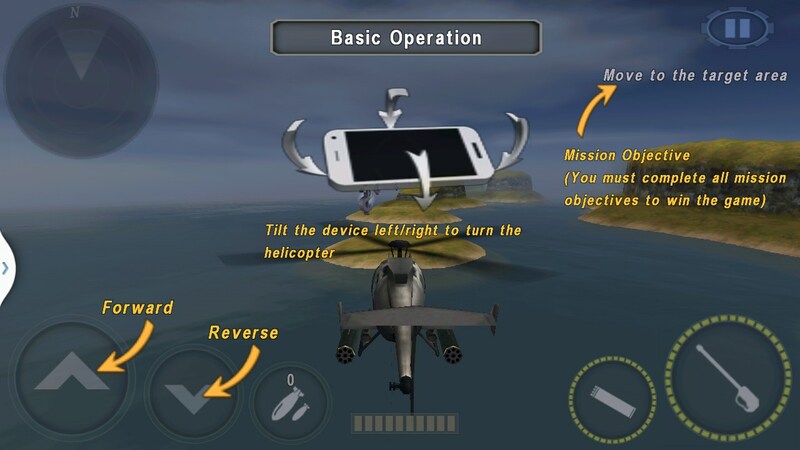 Gunship Battle for Android has a lot going for it. 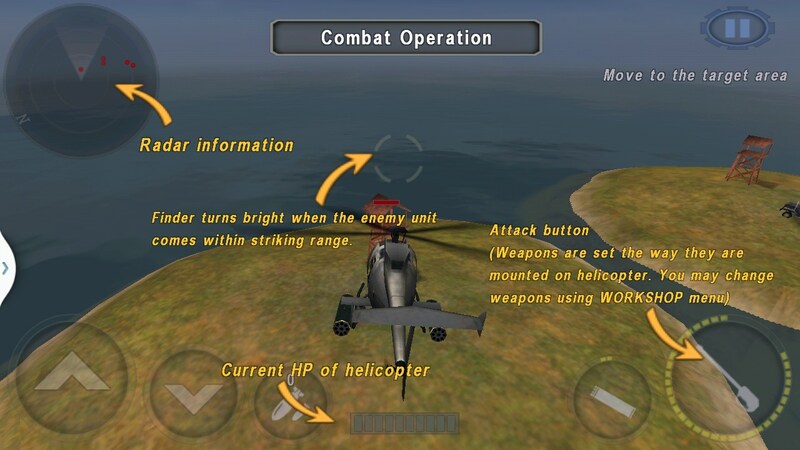 It’s a combat helicopter game with cool graphics and great animation. 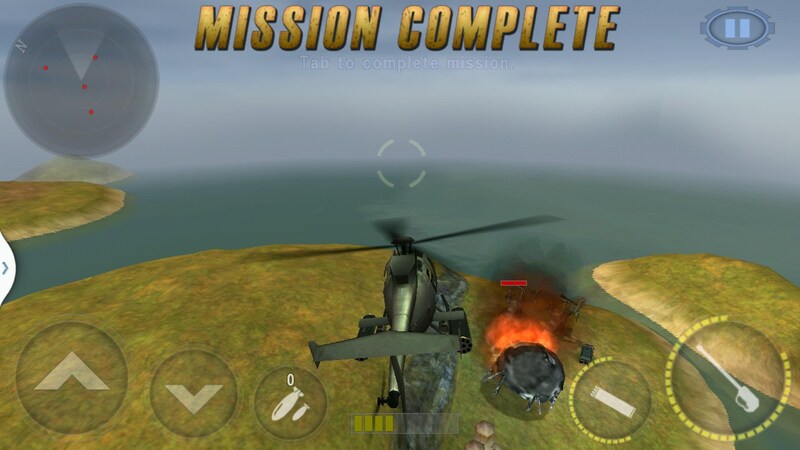 Complete missions, shoot at stuff and fly like a maniac with 360 degree views, all without ever having to leave your comfy chair. 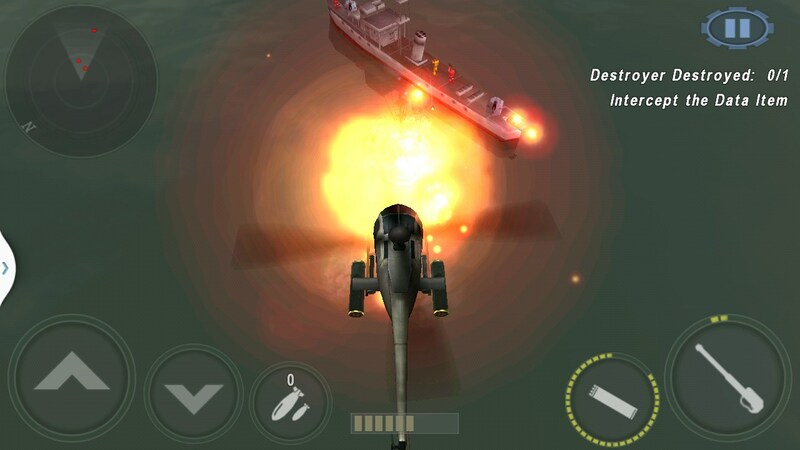 Gunship Battle plays like a classic arcade game. It’s very immersive and the best feature, by far, is the ability to view your environment in complete 360°. 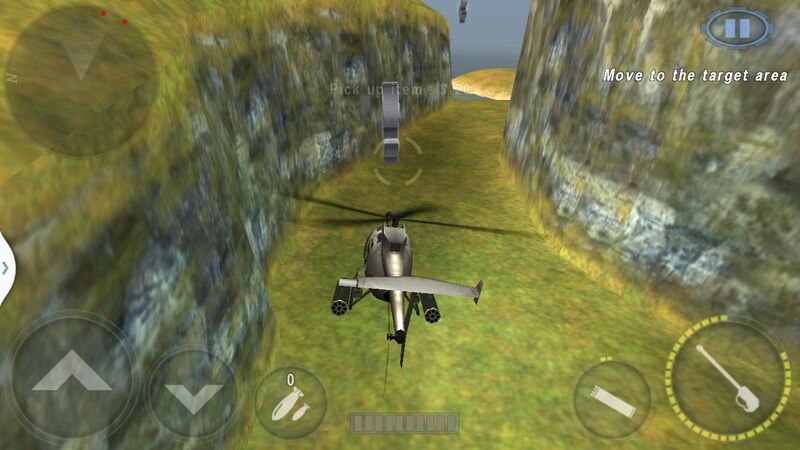 Watch your helicopter from above, below, up down and all around. Renderings are very smooth and I experienced no lags. The graphics are quite good too. Sometimes 3D environments look blocky and choppy. But Gunship Battle does a great job in this department. The game is challenging without being overly complex. 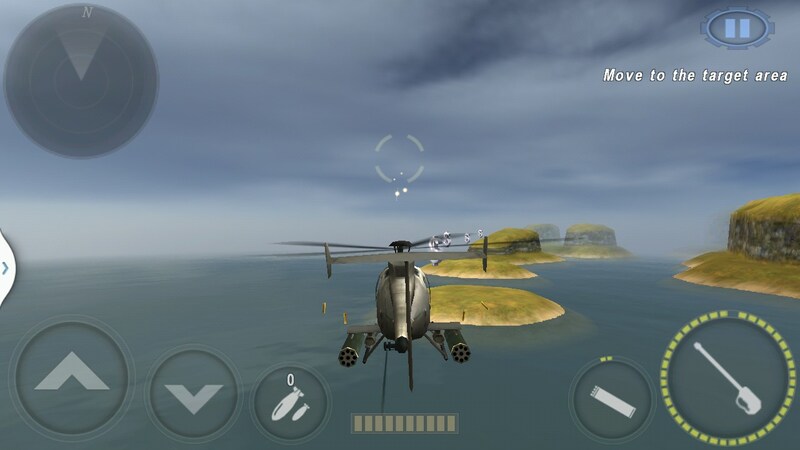 Hover, accelerate, climb and nosedive your helicopter with ease using the virtual joystick. 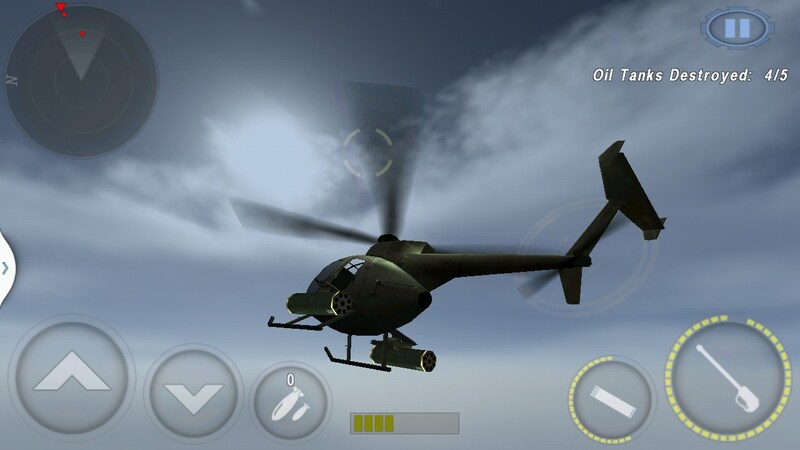 Tap the weaponry icons to fire and blow stuff up. 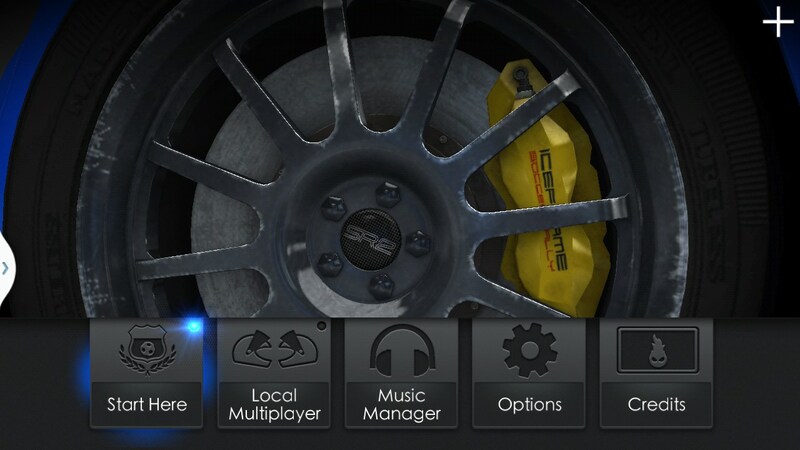 The accuracy is great and there’s a lot of nuance in the controls and game play. 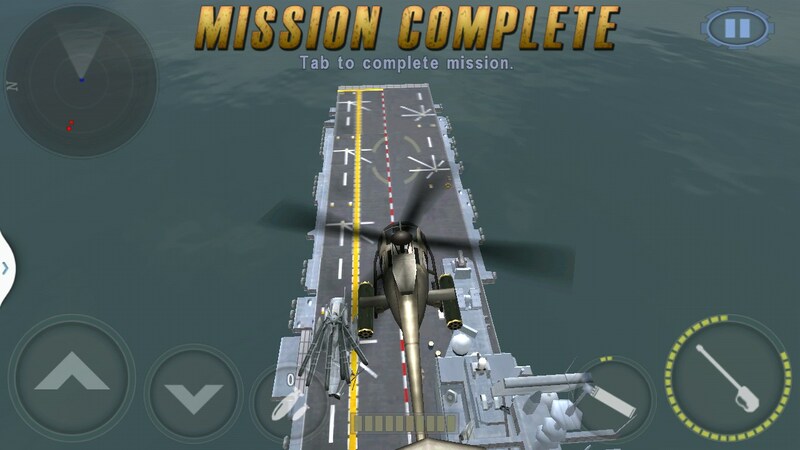 Complete missions through a set path and drop bombs on ships and targets below. 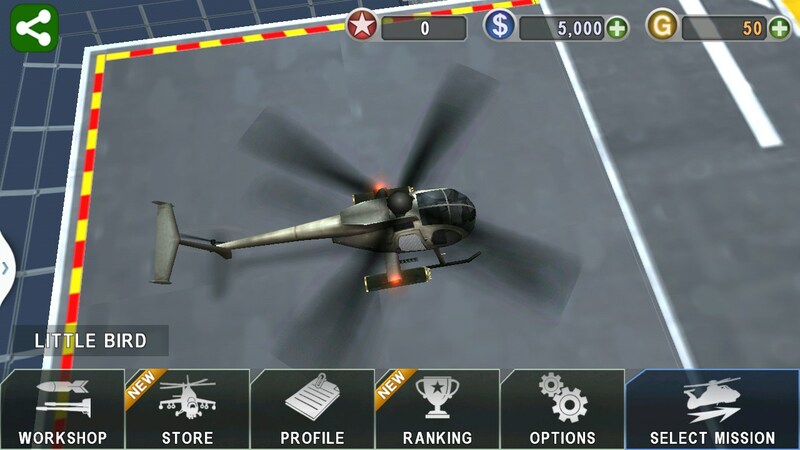 Collect points and bonuses along the way to spend on bigger, badder and more destructive helicopters = more fun in this one. Gunship Battle is a lot of fun. 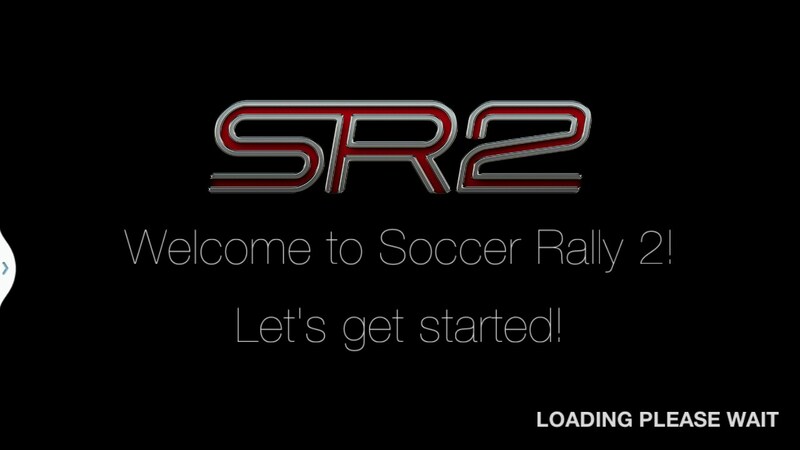 It’s a very polished app and presentation; however, it does need to be elaborated a little. The flight simulations feel realistic. The gravity is great and the missions are interesting. Subsequent updates should really take this one over the top. Fun!